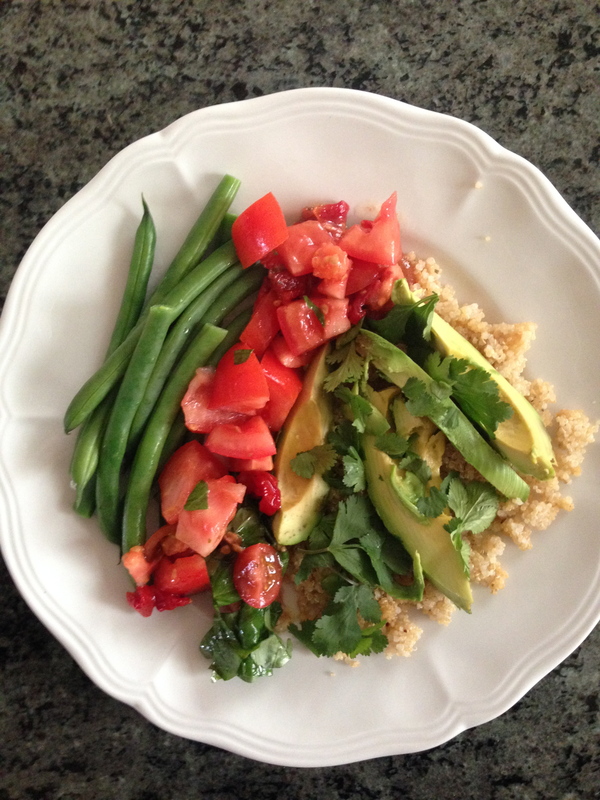 Quinoa, avocado, tomato salsa and steamed green beans. My yummie dinner tonight was inspired by fab blogger Ella Woodward, (www.deliciouslyella.com). Distribute the quinoa, avocados and beans in any artistic way you like – I like it stripey. Mix the cherry tomatoes and sundried tomatoes together in a bowl and add the applecider vinegar, lime, olive oil, maple syrup and sea salt. School pick up snack? Try these oatbars.